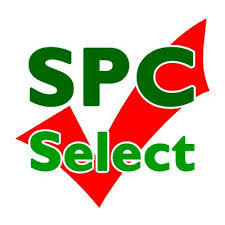 Find here Spcselect coupons, vouchers and deals. SPC Select is an online store supplying a wide range of premium wild bird foods & products and quality wildlife foods & habitats. They stock a brilliant selection of pet food & products specialising in grain free dog & cat foods. They also supply a range of garden products and unique & luxury gifts. SPC Select specialise in providing their own recipe seed mixes, which have been tried and perfected over the years (with the help of feedback from their customers and birds alike) which has enabled them to create the quality wild bird seed mixes they are able to supply today. SPC Select understand the importance of providing nutritionally balanced blends of seed mixes, which as well as providing an important source of food with optimal energy, will also encourage a diversity of wild birds to visit your garden again and again. And don’t forget to take a look at their range of handy fact sheets, packed full of useful information and must have knowledge on a huge selection of wild birds & wildlife.